Certain dishes can whisk you far and away. The flavors and aromas transport you, and that is the magic of cooking. 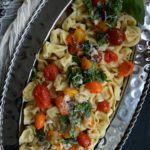 This simple yet elegant meal is sure to take you to Italy for the evening! 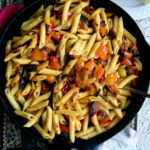 Heat a large frying pan with the olive oil; add the celery, garlic, mushrooms, salt, pepper and dried oregano. Sauté, until the mushrooms get a slightly golden color and the garlic is fragrant. In a small bowl combine the water, Vegeta seasoning, lemon juice, butter and cilantro or Italian parsley. With the heat on low, add this mixture to the mushroom pan and keep the heat on low while preparing the fettuccini as directed. 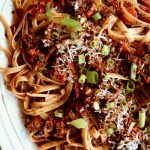 Drain the fettuccini and place in a serving bowl with a drizzle of olive oil and a dash of red pepper flakes. 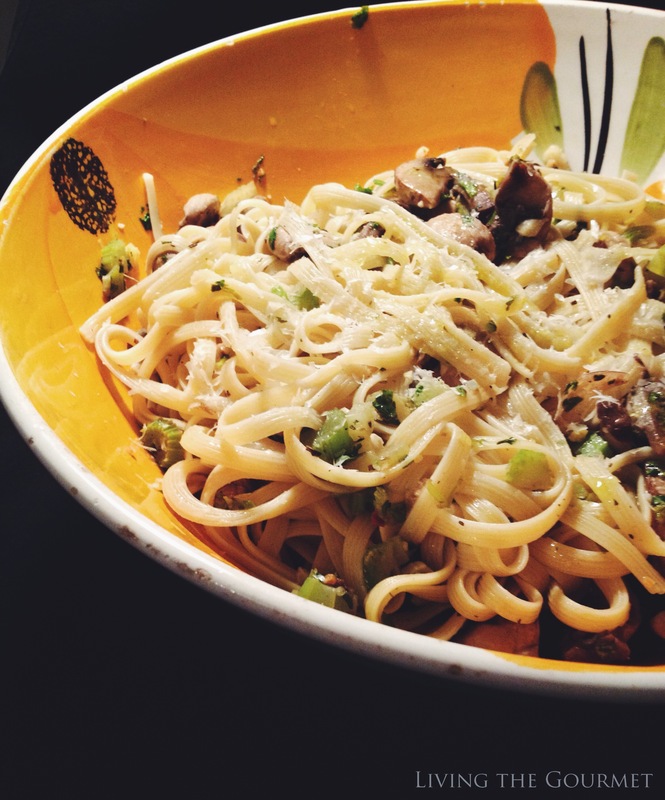 Pour the mushroom sauce over the fettuccini and toss; top with grated Parmesan or Romano cheese. Catherine, this looks so amazing. Love that you added mushrooms. I skipped breakfast and lunch(bad idea) and just had a second cup of coffee. So wish I was having a bowl of your fettuccini right now. Yum! I also like including dried mushrooms with fresh ones! What's vegeta seasoning? I've had Italy on my brain lately and since a trip is not on my schedule now (alas!) this will be my passport and ticket over. Looks wonderful! I saw this on Wonderfully Creative Wednesdays. It looks simply delicious! P.S! 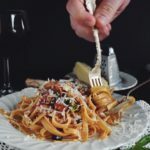 October is National Pasta Month!!! Hi Catherine, What a pleasure to find your gorgeous blog! I made a dish somewhat similar to this a couple weeks ago and had a heck of a time photographing it. Your pictures are fabulous! I'm going to have fun exploring your recipes. I am a new follower. Have a great day. 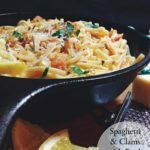 Looks easy peasy, even i could manage this pasta dish! Thanks for sharing. Pinned! 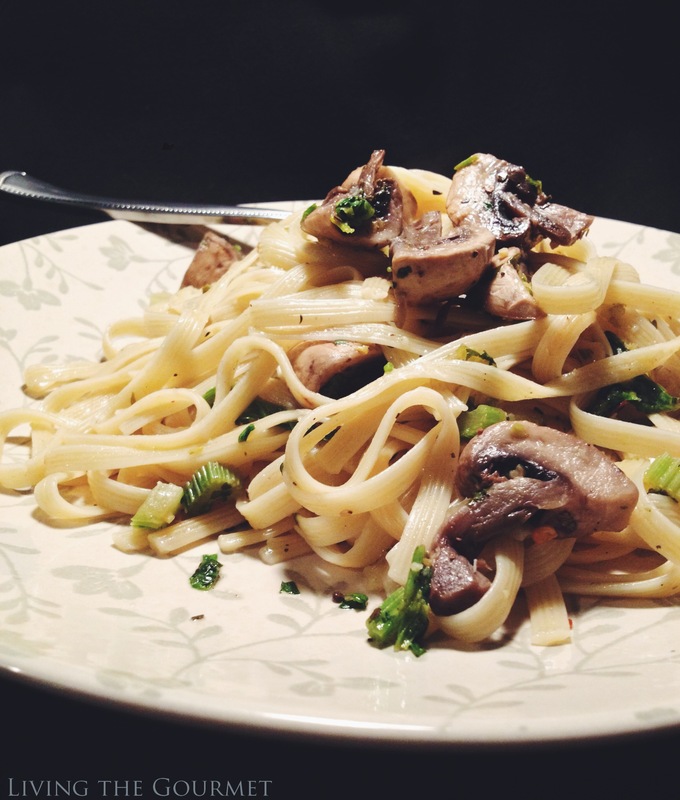 Mushrooms are among my favorites:) Love these pastas Catherine! Wonderful flavours in this dish! My wife would never want to leave your house. I have everything I need to make this. YUM. Thanks for linking up to #theWeekendSocial. You're always welcome here. Pinend! What a fabulous dish Catherine! I love the mushrooms, cheese and red pepper flakes. 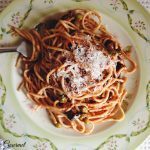 I'm ready for a trip to Italy with this recipe as my passport!!! Thanks for the inspiration!! !